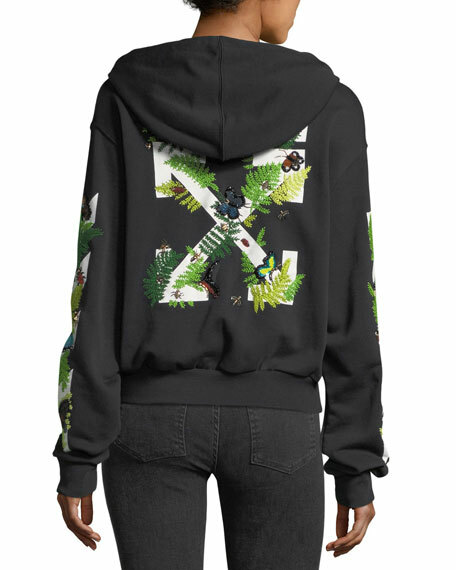 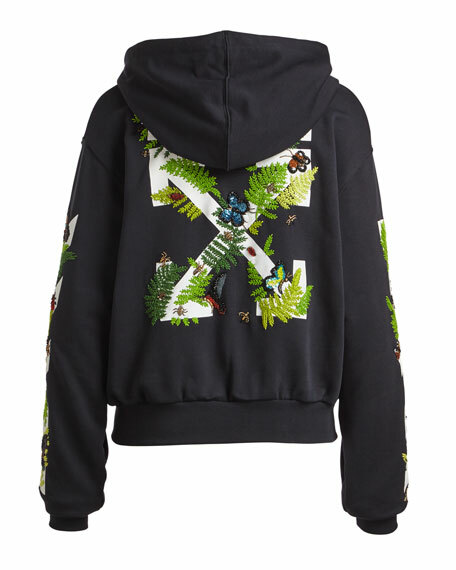 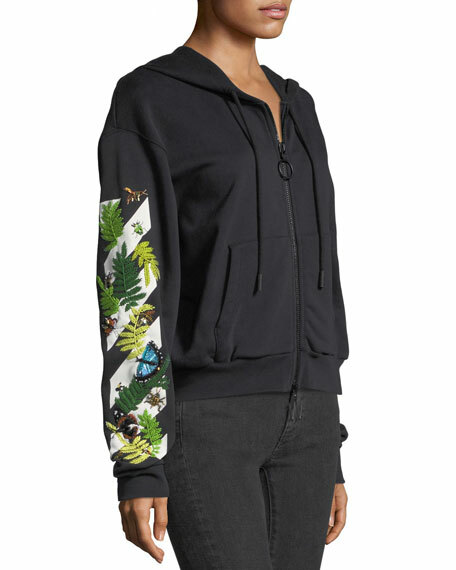 Off-White sweatshirt with embellished fern and arrow graphic. 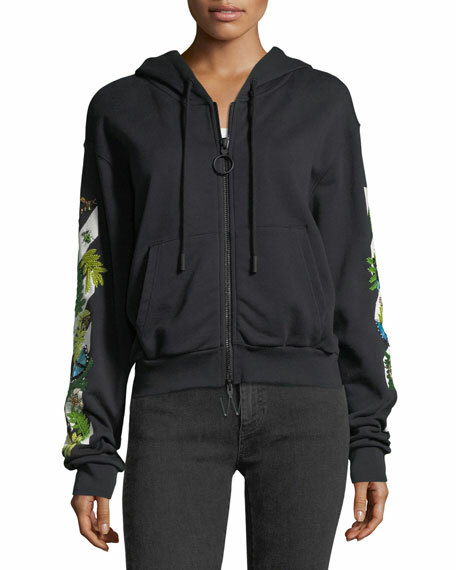 Hooded neckline; zip front with O-ring pull. 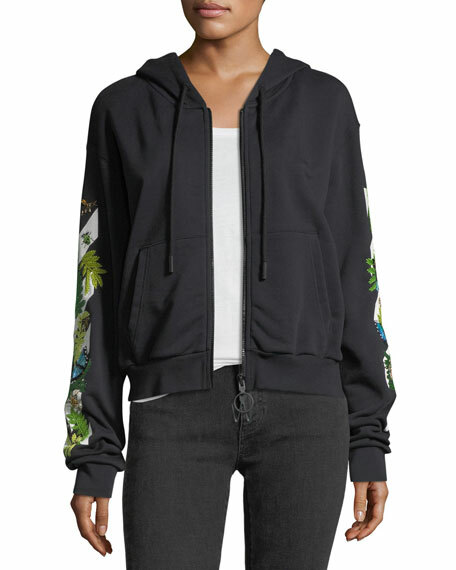 For in-store inquiries, use sku #2390710.